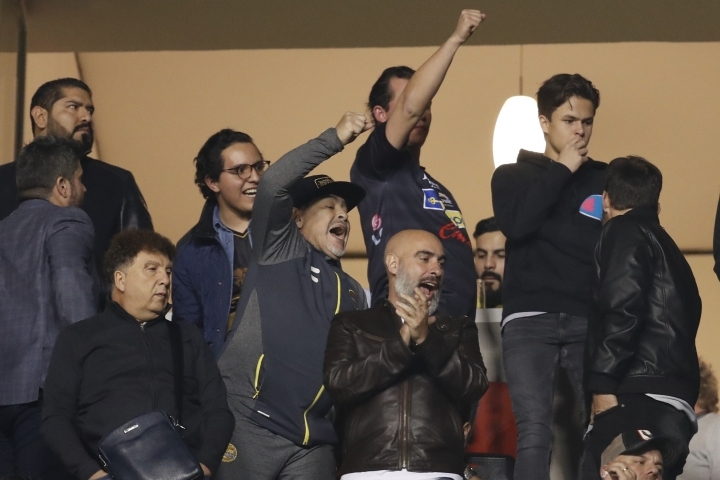 The Dorados of Sinaloa had won the first leg of the second-division final series 1-0, but saw an initial 2-0 lead slip away on an own-goal by Diego Barbosa on Sunday. 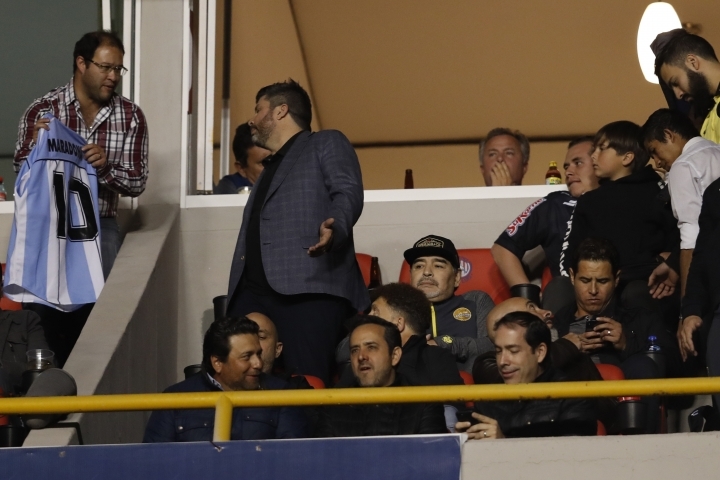 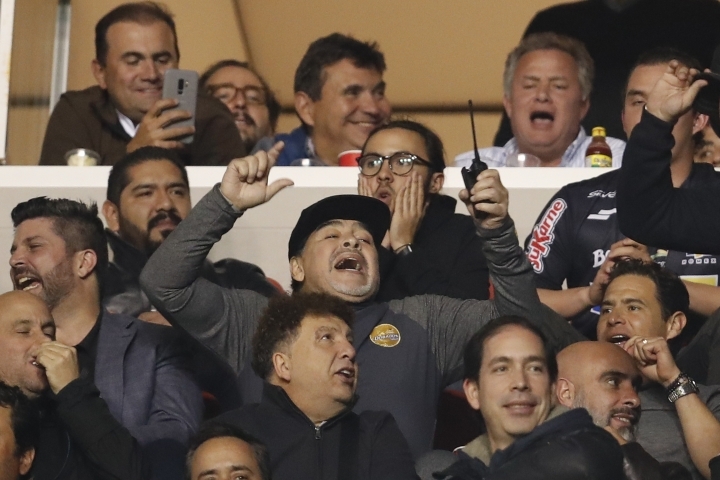 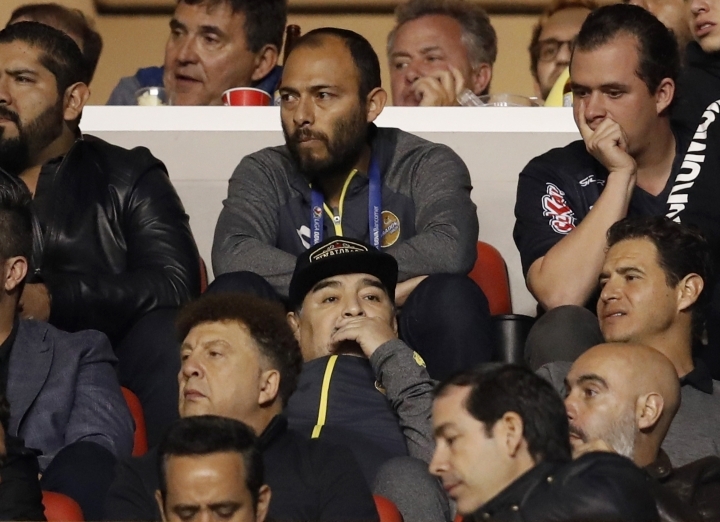 Maradona watched the game from the stands because he'd been expelled from the first-leg game for arguing. 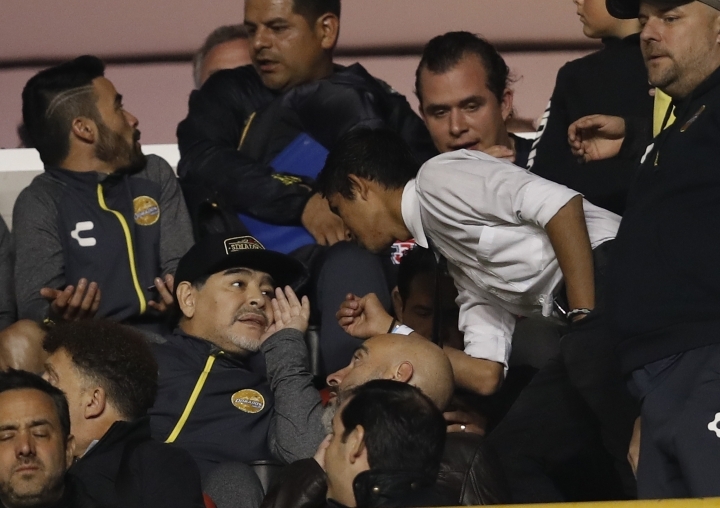 Local news media on Monday published videos of an infuriated Maradona hurling unprintable Mexican and Argentine insults and at one point trying to punch someone, apparently while leaving the stadium in the north-central city of San Luis Potosi. 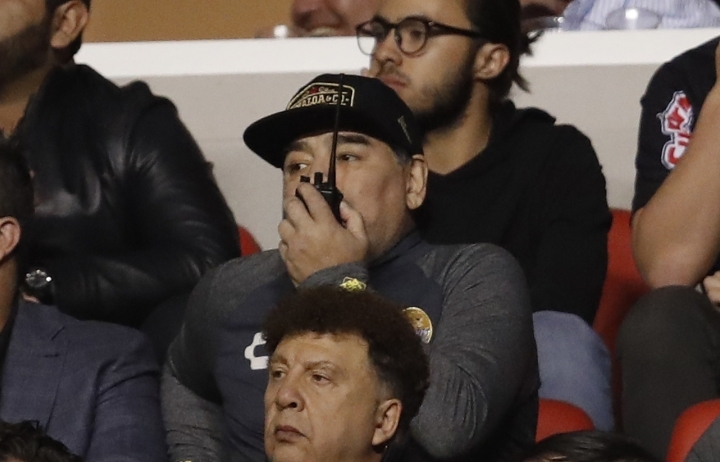 Photographs show him speaking into a walkie-talkie radio while watching the game. 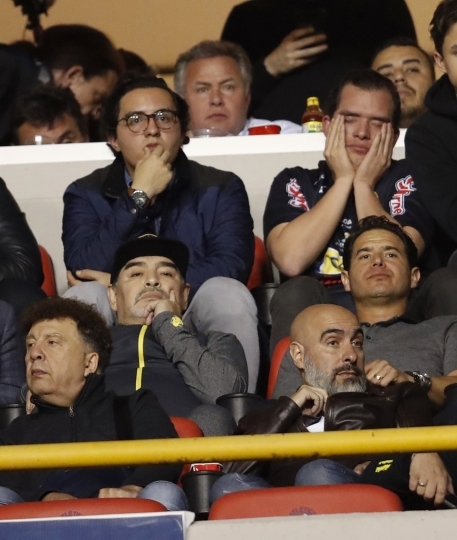 The former Argentine star took over as coach in September, when the Culiacan-based team was struggling with just three points after six rounds and at the bottom of the standings.